Sleep Dentistry, Minimal and Oral sedation are different types of sedation offered at our clinic, and are beneficial during complex procedures. It is common for many patients to feel nervous or anxious about their dental procedures. Our team at Dentistry By The Bay works in collaboration with an Anestheologist to provide our patients with the option of being completely asleep using General Anesthesia. By having a more relaxed patient, dentists may be able to complete more of your dentistry in one appointment. Dentistry By The Bay in collaboration with an Anesthesiologist provides our patients with the option of Sleep Dentistry that involves the use of General Anesthesia. The patient is completely asleep. Minimal sedation involves the use of Nitrous Oxide, known as laughing gas. The patient is completely conscious, but has a pleasant, relaxed feeling. This is a light sedation, where you are also awake but may not remember the details of the dental procedure. Pills are prescribed to relieve anxiety before your dental appointment. Almost anyone — adult, teen or child — is a candidate for sedation dentistry. It’s particularly useful for people with a fear of dental visits, or people with a history of anxiety/panicking, but it’s also preferred by people who would simply rather not be “aware” during a procedure. 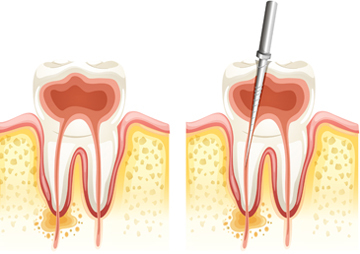 When there is nerve damage or an infection (abscess) in or around your tooth, you may need to have a root canal performed. Sometimes, you will not experience any symptoms, however people typically find one or more of the following symptoms: abscess or "bump" on the gum; sensitivity to hot and cold; severe toothache; and swelling or tenderness in the mouth. You might think that having the tooth extracted will solve your problems, but removing a tooth will end up costing you more money in the long run, and cause problems to the surrounding teeth. While the treatment is generally painless, swelling and discomfort can occur after the therapy, although pain is manageable through the use of antibiotics and/or painkillers. A crown, usually made of porcelain, is recommended after the tooth is treated due to the high risk of the tooth fracturing. Root canal therapy is very successful, and the results will last a lifetime. 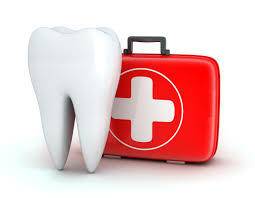 The only time you will need to come see us again, is if you develop new infections in the same tooth. In this case, the tooth will need to be retreated. 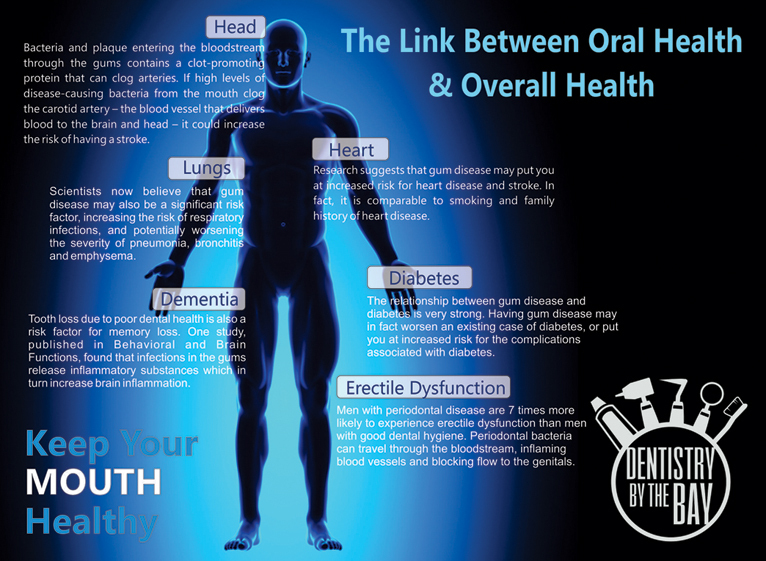 Periodontal (Gum) Disease directly attack the gums and bone tissues that support your teeth. The problems starts with plaque, which is a sticky, nearly invisible film that covers your teeth. If the plaque is not removed, it hardens and turns into calculus or tartar. Then, if the calculus is not removed, the bacteria in the hardened plaque slowly destroy the gum and bone tissue. At the beginning stages of the disease, you will likely not experience any pain, although you may later experience one or more of the following symptoms: red, swollen or bleeding gums; loose teeth due to bone loss or weakened tissues that support the teeth; new spacing between teeth, which is caused by bone loss; persistent bad breath from bacteria; pus around teeth or gum, which is a sign of infection; receding gums, or tenderness or discomfort caused by the presence of plaque, calculus and bacteria. You should be aware that smoking increases your risk for periodontal disease, and that periodontal disease is considered to be the number one reason for tooth loss. Some recent research links this disease to various aliments such as stroke, bacteria pneumonia, diabetes, cardiovascular disease, and an increased risk for complications in pregnancy. We recommend that good oral hygiene, a balanced diet and regular dental visits will help reduce your risk for developing this disease. 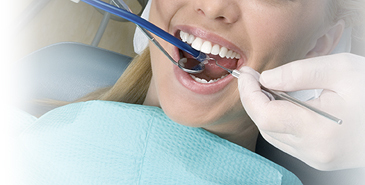 We provide Periodontal Disease Therapy which include diagnosis, deep cleaning treatment and after care instructions. At Dentistry by the Bay, we love working with children and seniors, and understand that a different approach is needed in their oral care. Our experienced staff has the patience, gentleness and ability to connect with children and older patients alike, enabling us to successfully diagnose and meet their unique needs. Part of our program is to educate and ensure that our patients are comfortable with their treatments. Our goal with children is to provide them with positive and fun experiences, that will set them on a lifelong path to excellent oral health. 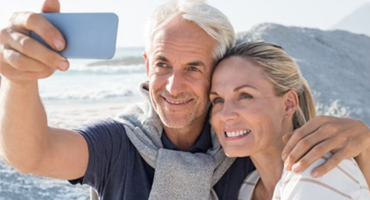 And with seniors, we aim to provide preventative steps and solutions to help maintain long lasting, healthy teeth, which we believe contributes to a higher quality of life. Cleaning and Oral Hygiene Services at Dentistry by the Bay. Tooth colored fillings (or commonly called composite fillings) are created to closely match the existing color of your teeth. Composite fillings tend to blend in well with the natural appearance of your existing teeth and therefore are less noticeable then older fashioned materials used. With this technique our dental health team employs a state of the art light system to harden filling material to fill the cavity space. A dental implant procedure is where a titanium based anchor is used to secure a replacement tooth permanently in place in the gums. 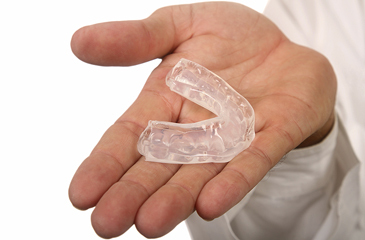 Implants provide a strong foundation for fixed (permanent) or removable replacement teeth. They are made specifically for you so they match your natural teeth. Implants are often used to fill the space where a tooth has been extracted. With modern advancements and dental health improvements. Learn more. A crown is a form of dental restoration that fully caps over and protects a root canal treatment or dental implant. Crowns are a material applied after root canal therapy to protect the restored tooth by supplying support. Dentures are a wonderful solution for people with some or all teeth missing. With dentures, a patient can restore their smile, and their confidence, too! Depending on how many natural teeth you have lost, your dentist may recommend full dentures or partial dentures. 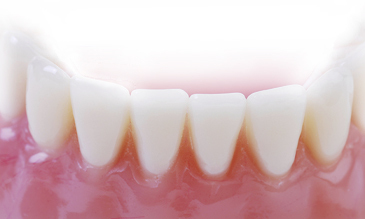 If you have lost all your teeth, complete or full dentures can replace all your natural teeth. If you still have some natural teeth remaining, partial dentures may be the right option for you. The process of creating a denture is done through a series of molding or impression-taking that allows for the denture to be properly sized and fitted. The fabrication of the patient’s custom dentures occurs at a dental laboratory, and we will be working together with the technician until the dentures are complete. The final steps involve making any necessary final adjustments to the dentures to ensure that the fit and appearance is ideal for the patient. It is not unusual for a patient’s dentures to require repair after wearing them for quite some time. Dentures may lose their ideal fit with use, which may cause them to become uncomfortable. 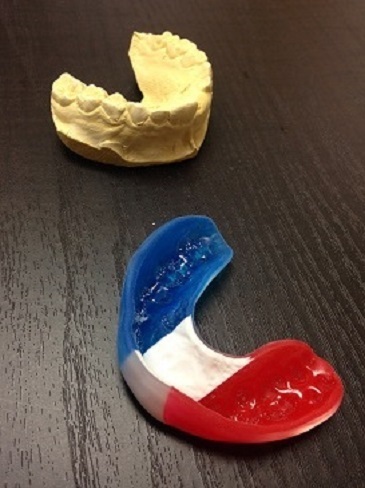 Because they are not indestructible, dentures may even crack or break. Don’t worry, this is all fixable. If you’re experiencing problems with your dentures, book an appointment with us and we would be happy to repair your dentures for you. It is very important to the function and comfort of your denture for the pink base part to contact your gum ridge. If it does not, your denture will not fit your mouth as well as it could, causing instability and irritation. This instability can negatively effect speech and /or retention as your denture rocks on your ridge or actually dislodges. This irritation, in the form of sores, can result from the movement of a loose fitting denture and trap food particles against your ridge underneath the denture due to a less than precise fit. When your teeth have been removed, the bone in your jaw will recede over time, causing the denture to get loose and floppy. This bone loss will continue gradually over the rest of your life. As a result, the denture will need to be relined or remade ervery 3-5 years to keep it fitting properly. Abnormal cell growth can take place anywhere in the mouth. 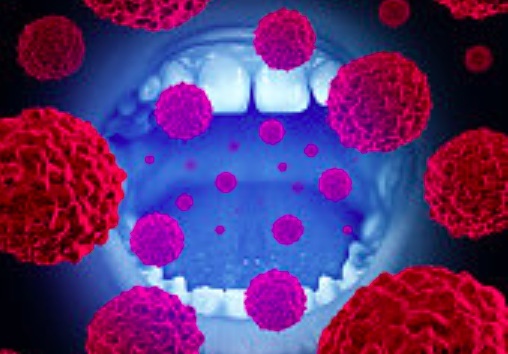 Oral cancer is a disease that occurs when abnormal cell growth takes place anywhere in/on the mouth or throat. Unfortunately, oral cancer is on the rise – and today, risk factors go beyond being a heavy tobacco user. Every time you visit the dentist for a bi-yearly check-up, the dentist performs a brief oral cancer screening. This involves examining the lips, tongue, inside of the mouth and throat for any suspicious lesions or lumps. You may not even know your dentist is performing this screening because it’s so quick and painless, but they are! It’s best not to worry about getting oral cancer, but to take the preventive measures against it instead. The good news is, the earlier oral cancer is detected in a patient, the better the prognosis for successful treatment and recovery. In fact, early diagnosis of oral cancer is critical to save lives. Be proactive: your smile (and life) depends on it! 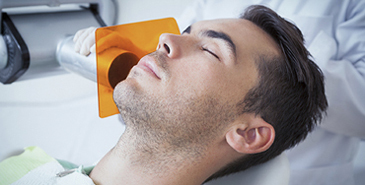 When was the last time you’ve been screened for oral cancer, or been in for a routine check-up and cleaning? If it’s been a while, book an oral cancer screening with our friendly Belleville dentist today. Ask your dentist about screening yourself for oral cancer. Its a simple procedure that will give you piece of mind. Even when we do our very best to prevent them, unfortunately, a dental emergency can strike… (and they always seem to happen at the most inconvenient times)! But don’t fret. Our Belleville dentist understands how scary a dental emergency can be, and is happy to accommodate you if a problem arises. Simply call our office, and let us schedule a time to see you as soon as we can. If you’re experiencing an emergency with your precious smile, don’t wait. The earlier you address a dental emergency, the better the prognosis for your treatment. We’ll do what’s best for your smile in your emergency dental situation – we promise! Dental emergencies may strike at anytime. We can help.